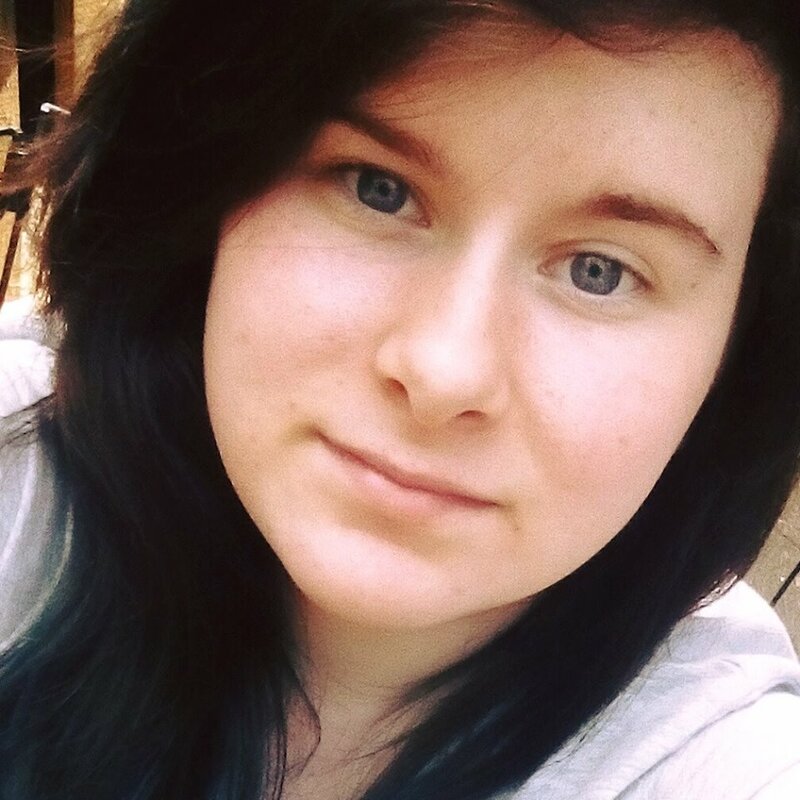 Hannah is one of the Trust’s youngest volunteers, and the daughter of Trust volunteer Wendie. They live in Colchester, not far from the Roman circus centre and our HQ. Hannah is an A-level student at Colchester Institute and, at the end of the summer term, some of her artworks were displayed in an exhibition of students’ work. Four of these are inspired by the remarkable archaeology of Colchester. 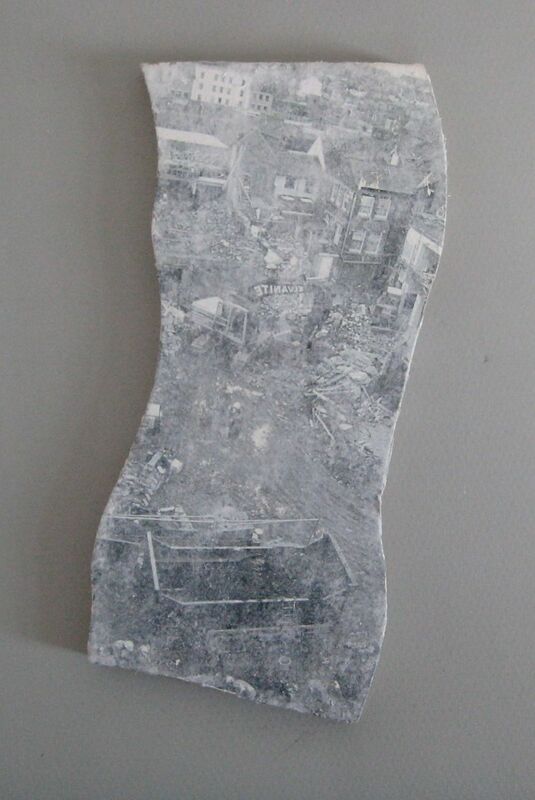 These are multimedia artworks, which include painted and printed elements on wooden board. Today is the start of the autumn term and the new academic year for a lot of schools and colleges (the 6th September at Colchester Institute), and so we are putting copies of these four of Hannah’s artworks on display in the Roman circus visitor centre – they will be on display for our Heritage Open Day on Saturday 9th September. Three of the artworks show outlines of some of Colchester’s famous Roman monuments, as we think that they would have looked when built, based on archaeological and other evidence. Each is shown on a background representing how their sites look now. The three monuments are the Roman circus and the Temple of Claudius in central Colchester, and the Roman theatre at Gosbecks on the outskirts of the town. The fourth features a photo. of the Trust’s archaeological site at Culver Street in Colchester (now the Culver Square shopping precinct) in the 1980s. 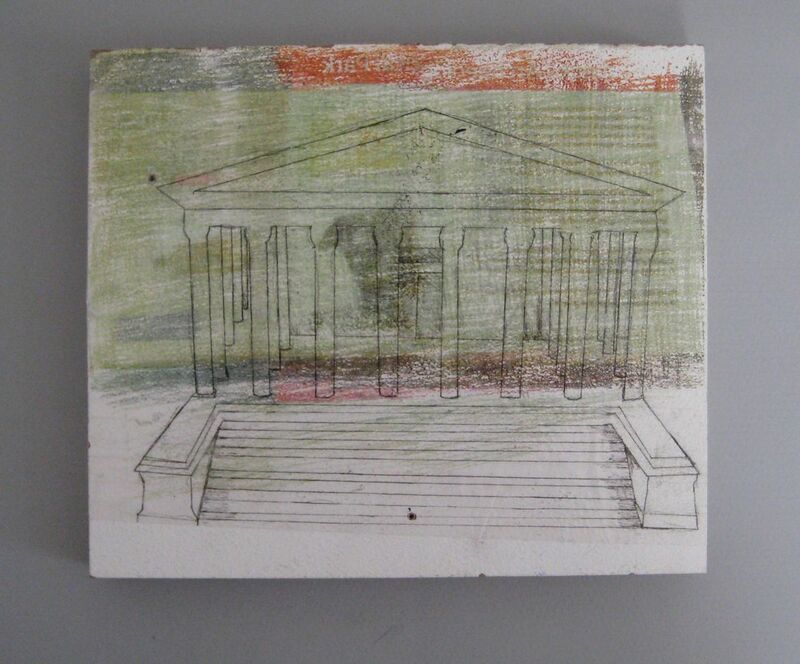 Hannah has chosen to make artworks of three of the most important Roman buildings of Colchester, which would have been three of the key, monumental public buildings of the town. The temple and the Roman circus were, of course, associated, as chariot-racing days at the Roman circus would probably have begun with a religious ceremony at the temple, followed by parade from the temple to the Roman circus which would have included the chariots and horses as well as figures of Roman gods and goddesses. 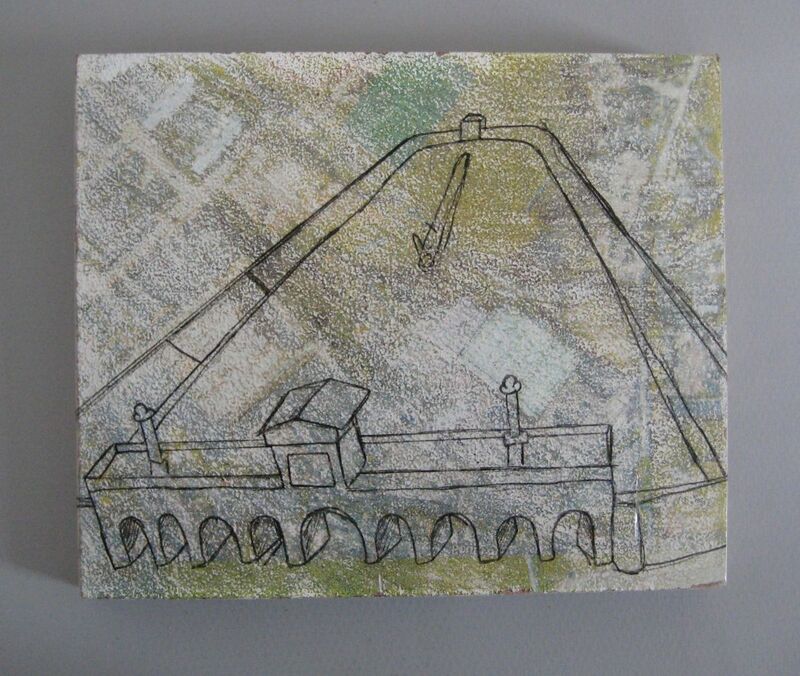 We like Hannah’s artworks very much, and we are also really interested to see how people respond to or interact with Roman remains and monuments – especially the Colchester Roman circus! With many thanks to Hannah and Wendie for letting us display copies of Hannah’s artworks and publish this blog post. For details of our Heritage Open Day 2017 at the Roman circus visitor centre, please go to www.thecolchesterarchaeologist.co.uk/?p=37782 . The images show Hannah (photo. 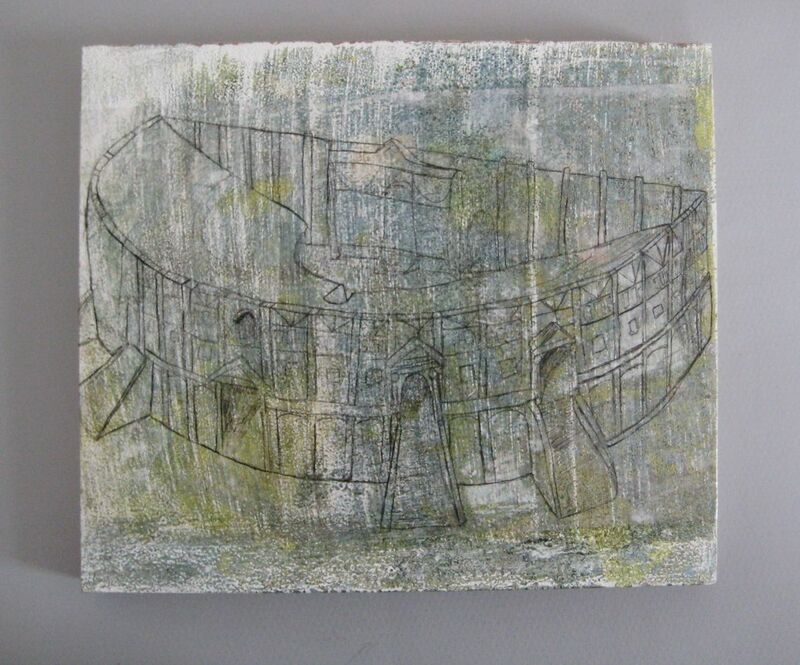 by Hannah) and her four archaeological artworks from 2017: the Colchester Roman circus, the Roman Temple of Claudius at Colchester and the Roman theatre at Gosbecks, and the Trust’s Culver Street site.